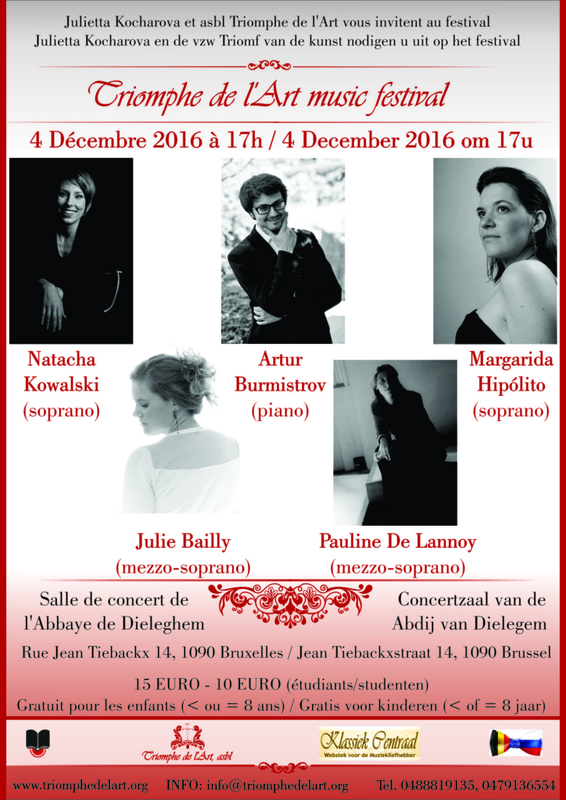 In anticipation of the Christmas and the New Year, Julietta Kocharova and Triomphe de l’Art Music Festival have pleasure to invite you to a fairy tale Christmas concert. Young and talented soloists from the opera houses of Europe will present you the masterpieces of world classics. You will hear a small competition between 2 types of voices (soprano and mezzo-soprano) for your applause under the direction of Artur Burmistrov (piano). A small banquet will take place after the concert where you can meet and discuss with singers. Do not miss! Attention! Presale is available till 30th of November 2016!!! Limited number of seats. Hurry up to book tickets!